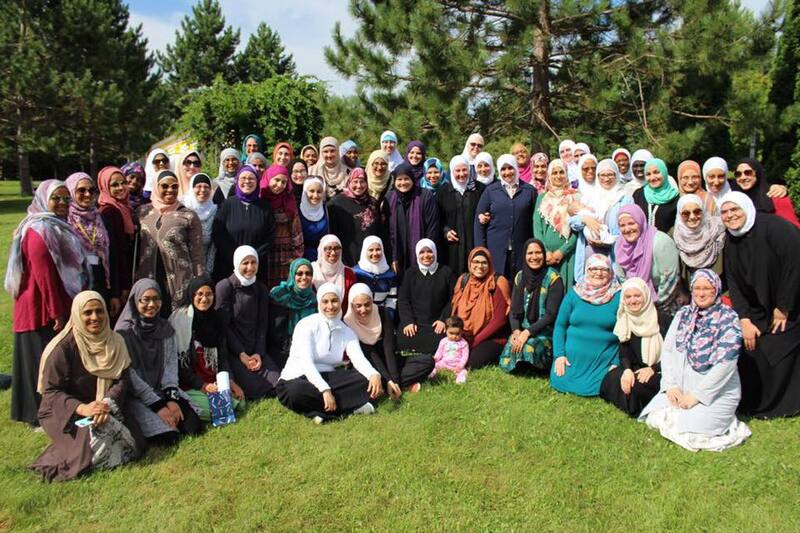 The fourth annual Ribaat Retreat is a unique opportunity for learning, deep spiritual growth, and enjoying the community of our beloved teachers and fellow students. Days will be filled with lessons focusing on personal growth, worship, group activities, and face-to-face time with teachers. Evenings and nights will be filled with worship, prayer, and Quran reading. A more detailed schedule will be shared with registered retreaters upon arrival. The Ribaat Retreat hosted by Rabata is open to current and former Ribaat students ages 17 and above. If you have ever taken a course or workshop, even if you were unable to complete it, you are welcome to attend. If you have never taken a course, you may register for the retreat and will be automatically enrolled in a course for the Fall 2019 Term. The course registration fee of $100 will be added to the retreat fee. Policy on children: We are once again welcoming mothers with lap babies who will be 6 months old or younger at the time of the retreat. Please indicate this when prompted on the registration form. We will not be able to accommodate children older than 6 months. 4:00 pm: Arrive at Dar Al Islam, register for the retreat, settle in, and rest. 6:00 pm: Arrive at Dar Al Islam and register for the retreat. 7:00 pm: Retreat schedule will begin. Retreaters will be assigned to their accommodations upon arrival at Dar Al Islam. All facilities are shared with other Ribaat retreaters. Accommodations are all yurts or dorm-style housing with bunk beds. Preference for lower or upper bunks will be provided on a first-come-first-serve basis to those who make their payment first. Please note that if you have a medical condition, you will need to register early in order to secure your spot. Please inform us as soon as possible if you have a medical condition and require a lower bunk and/or handicap accessible bathroom and shower. All retreaters will need to bring their own bedding (pillow, sheets, blanket or sleeping bag) and towels. A full packing list will be sent prior to the retreat. Retreaters will be expected to keep their accommodations tidy and clean. The wi-fi available at the venue is not strong enough to support a livestream, so it will not be possible to livestream the retreat. There is some wifi, however, that may be available for retreaters to tweet etc. during break times. There will be 3 catered meals per full day, with dinner on the day of arrival, and breakfast the morning of departure. Beverages and snacks will also be available throughout the day. If you have special dietary needs or allergies please let us know well in advance. Registration will open March 11th. Spots will be filled on a first-come-first-serve basis and will be reserved only once payment is received. Tier 1: $540. Bathrooms are in the same building. Dorm-style accommodations for 8 people. Tier 2: $510. Bathrooms are in the same building. Dorm-style accommodations for 18 people. Tier 3: $480. Bath house is outside the building. 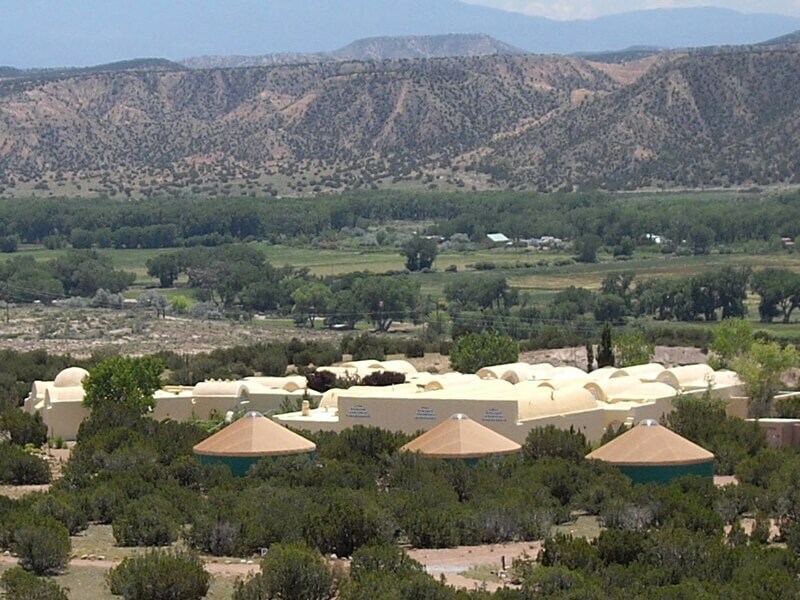 Yurts or dorm-style accommodations for up to 18 people. Please note that all registration fees go towards the costs of running the retreat. All teachers and workers are volunteers. The registration fee does NOT include airfare. If registering in March, total payment can be divided into three monthly installments. Payments will be due March 31st, April 30th, and May 31st. If registering in April, total payment will be divided into two payments, due April 30th and May 31st. Spots are reserved only after all payments have been received. Payment can also be made in full to reserve your spot immediately. There will be no partial attendance fees. All retreaters will need to pay in full even if they will not be attending the entire retreat. In the event a retreater needs to arrive/depart outside of the coach timings stated above, transportation between the airport and Dar Al Islam (a distance of about 2¼ hrs) will be the responsibility of the retreater. In this case, you will need to rent your own car from the airport, as Uber may not be available. A limited number of partial scholarships will be available. A separate application for these limited scholarships is required. You will find the link to the scholarship application inside the registration form. Scholarship recipients will be expected to pay a partial registration fee of $100. Scholarship recipients must make their own travel arrangements between home and the Albuquerque airport. Contact: Email any questions to retreats@rabata.org. See you this summer in New Mexico, inshallah!